Be the first to subscribe to STCFPOETRYBOOK for updates, contests, posts, and more now until August 1st. The first four to sign up will receive a copy of Tannika’s poetry book, Setting The Captive Free. 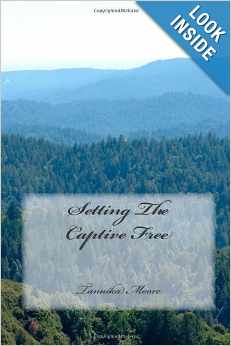 Setting The Captive Free is full of rhythm, candor, exhortation and life wrapped in poetry. Exhale with the author as she takes you through journeys of love, tribulations and relationships. Dance with her as she paints pictures of heritage, self-value and faith. Trust God and set the captive free! It is Tannika’s prayer that you reflect and release! You live, laugh, and love! And, you trust God and set the captive free! No purchase is required to enter or win. Only one entry per person is allowed. Acceptance of prize constitutes permission for Tannika Moore to announce the winner’s name, use the winner’s name, likeness, and entry for purposes of advertising without further compensation unless prohibited by law. The winner will be notified by email within five days of winner selection and subsequently the giveaway/prize will be mailed to winner. We shall have no liability for a winner’s failure to receive notices due to winner’s spam, junk mail, etc. You may opt out of receiving this communication at any time by clicking the unsubscribe link in this newsletter.